Again another 60 peg sellout for the 16th Golden Rod qualifier at Larford Lakes. Conditions today were difficult with rain all day and flat calm lakes. Water tempartures were only 5-6C and the air temperature was only 2-3C. Needless to say, bites were difficult to come by. Winner on the day was Ray Lamb (Colmic Bagem Larford) who drew peg 64 on the Specimen Lake. Ray fished the method feeder at 50m with pink waffters catching carp and bream to weigh 46-15-00. 2nd on the day was Paul Cook (Frenzee) who drew peg 62 on the Specimen Lake. 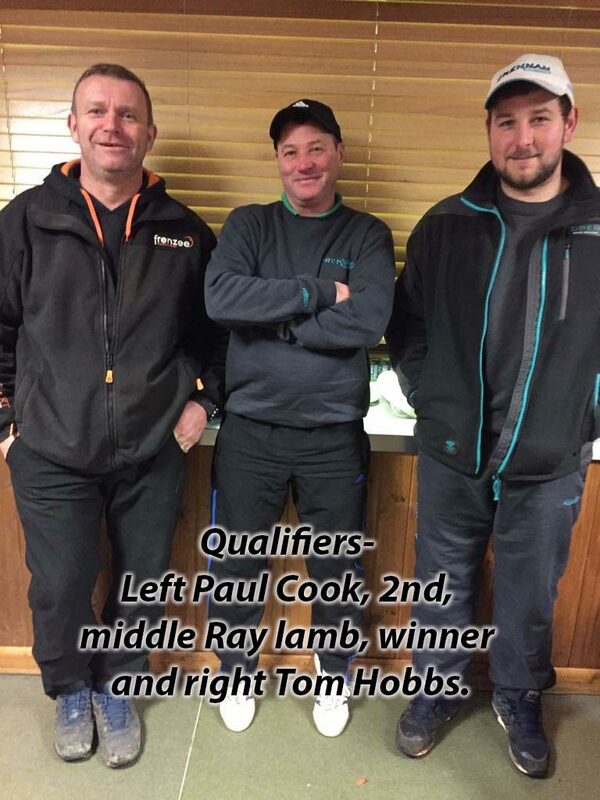 Our thanks to Larford Lakes for hosting the qualifier.